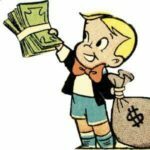 My favorite comic growing up was Richie Rich, I thought even as a child, he did not do enough good with it. I like to brag on my Heavenly Father who owns it all. Now we want share it with the Church we are giving it to the faithful whom did not take from America’s treasury during the Bush years. When he was surrounded by delusional priests telling him to give it away knowing full well their intentions were to bankrupt America when their dragon found the right man to make peace with the Muslims. His slogan was YES, WE CAN, the truth NO YOU DIDN’T! Ooops didn’t work out for them. That temple must be built before Jesus arrives…Still need peace in the middle East. So sorry minions of hell you gave it the old college try. You had Yale and the keys but still couldn’t pick the lock. Good news though I was tapped by the master and now I can be part of the elite club of billionaires. 700 just to start and we know that 777 is G-d’s number so that is only 1/3 of it I will be coming for the rest. Look YALE bonesman and CIA guys what I got from Father look John Kerry and Bush Family. Sorry Barry you got dragged into this , you are after all a deceitful individual. An abomination is how G-d sees what you all did to this country and it only took you 60 years to do it JFK is going to receive some justice, Revelation 6:10 it’s also my birthdate. I got it forwards and backwards I blurred the last two numbers so the evil minions of darkness can’t find me. 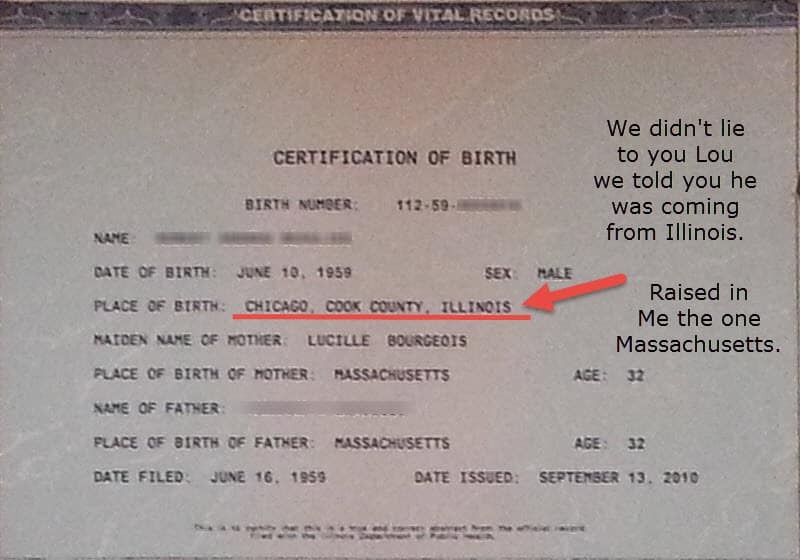 If you like that here is my Unite States Birth Certificate where was Obama from again??? At least I can prove I was born here. Good news Christians have a peace plan that is the best, and we want to give it to you, don’t we brothers and sisters? While revealing to the rest of the world what they planned for us and shall have for them, when we leave. My vision is seeing a child open a Bible in a public school and having the teacher fall on her face before G-d as that child leads the class to faith in Jesus Christ the only begotten of the Father. First, we needed to get back some dragon money in order to get the rest he stole from the world. 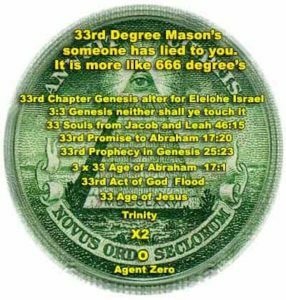 Proving to the world, they corrupted America’s political structure, and we will extract full confessions and repentance. A lot of weeping and crying is about to come forth along with it healing, that is a large part of my story. Ready or not we are going to have fun, first we need to open the eyes of some lost clergy who chose the wrong side. Pray for me that I would be more merciful to them what’s important is getting the error under the blood and getting as many into the boat as possible before we leave we are going fishing and fishing should always be fun. The enemy of our souls was tasked with building his one-world order and bringing peace in order to get the Temple of G-d rebuilt to sit in before Jesus’s return so that he can declare himself G-d for seven years. Afterwards, Jesus will come with his forces “us” to finish the wicked rule and establish HIS millennial kingdom. 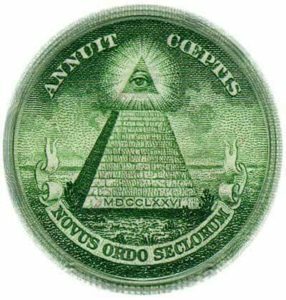 The all-seeing eye on our dollar bill is of the unfinished pyramid. The seal was designed by a man of G-d Charles Thomson, a leader of Philadelphia’s Sons of Liberty and who translated the scriptures from Greek to English. His choice for the seal was ordered by G-d. America was the bait a government by the people and for the people. The revolutionaries at the time knew Rome was the aggressor in claiming king of the hill status. It takes but a few generations to erase the knowledge of what the seal actually meant. From Wiki- Charles Thomson’s Translation of the Old Covenant is a direct translation of the Greek Septuagint version of the Old Testament into English, rare for its time. The work took 19 years to complete and was originally published in 1808. Thomson is credited with having created the work with little to no help from other scholars. 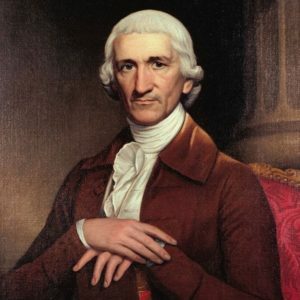 Charles Thomson was a Greek scholar, and before the American Revolution, had been a teacher at several prominent schools. Thomson’s translation of the entire Greek Bible, excluding the Apocrypha, was published in one-thousand sets of four volumes each, the fourth volume being Thomson’s translation of the New Testament in that same year. The printer was Jane Aitken of Philadelphia. Right after the trap was sprung G-d gave me this done by Thomson. It should exist in the house of Windsor or with the Masons who are under the Queen’s rule. The x2 is the angels Michael and Gabriel hidden over 250 years. The NWO can only be completed when the world finally has peace in it. However, Satan cannot do peace. He has saved up enough for us “the church” in order that we may give it to them to complete their new world order. Read Psalm 21:11 we are in the 21’st century no coincidence here. Jesus is 777 which comes after 666 his time will only last for seven years. 3.5 of it will be undoing the damage we are going to leave him with. The Son of G-d is no ones pet. Satan will not give back what he has stolen from the world. So Jesus needed to trap him here in America. The price asked for America’s White-House was 700 billion dollars in 2008. 12 million Christians were watching as it took place before their very eyes on a Christian stage at Saddleback Church. Not long after Rick Warren was sprouting the praises of Rome soon afterwards tragedy came into his home. You cannot play both sides you must choose. Choosing the right side will help win the other. 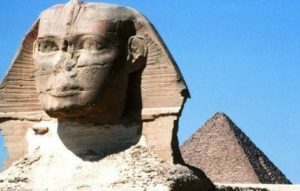 LOOK THE CAPSTONE TO FINALLY COMPLETE YOUR PYRAMID LOU. The cost of America’s White House 2008 700 billion dollars the enemy is throwing in the towel and he needs help. Jesus is coming he desperately wants his seven years. Please help me in getting him the plan that is best for us all. 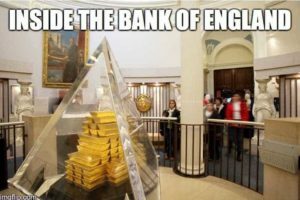 As you can see the gold under the glass is meant for the new KING OF ENGLAND and HIS QUEEN to start the party rolling. England heads the Anglican Church or better knows as the Church of the Angels. It is the equivalent to Protestants what Rome is to Catholics. This money will start the peace plan, there is more where this came from. Notice it looks like we have the final piece to the top of the pyramid to complete the New World Order. All I need to do now is have an audience with the queen of England giving her the word Jesus gave me and it is ours. It is a word that was spoken to her by her husband what to look for in the new King. Being from America should really give Jesus a lot of media attention placing us in a better light with the ability to solve many world problems in his name bringing glory to HIM.